Excitotoxins cause neurons to become so over-excited that they burn out and die. Neurotransmitters are chemicals that act as messengers between cells in the brain and nervous system. 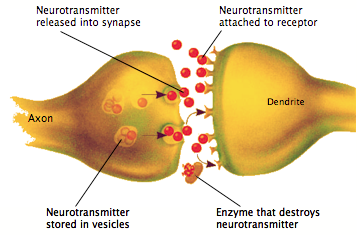 When an impulse arrives at a neuron, neurotransmitter molecules are released from its axon. The molecules diffuse across a short gap and bind with an empty receptor on the surface of another neuron, or on a muscle or gland. There are many different neurotransmitters and more than one kind might be used between an axon, gap, and receptor (together called a synapse). When metabolic processes are functioning normally, the concentration of neurotransmitter is quickly reduced and cellular 'housekeeping' takes place to keep everything healthy and in balance. Everything happens in milliseconds or less. Too much of a neurotransmitter makes it excitotoxic. The receptors over-activate. Ultimately the nerve cannot keep up and kills itself (apoptosis) or triggers a nearby cell to devour it (phagocytosis). 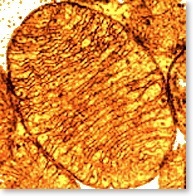 Mitochondria are tiny structures found inside nearly every cell in the body including neurons. They convert food molecules (like glucose) into a chemical called ATP. These ATP molecules are the energy source for metabolic processes. Any time a cell's energy is reduced it becomes dramatically more sensitive to glutamate. Even normal levels of glutamate become excitotoxic when cell energy is low. Brain cells are particularly affected. During excitotoxicity, ATP production may be reduced, stopped or even reversed. When mitochondria malfunction, all sorts of cellular disruption and failure occur. Numerous examples can be found starting here, here, and here. Genetic mutation is associated with excitotoxicity and mitochondrial malfunction. Excitotoxicity also causes high levels of calcium (Ca2+ ions) to enter cells, in turn activating a variety of enzymes which proceed to damage cell structures including DNA. Altogether, the human cell nucleus is currently estimated to encode between 250,000 and 1,000,000 proteins (of which only a fraction have been identified). 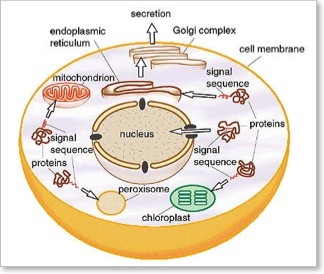 Mitochondria have their own DNA entirely separate from DNA in the cell nucleus. The mitochondrial genome is ~ 16,000 genetic 'letters' compared with ~ 3,000,000,000 in the nuclear genome. Mitochondrial DNA encodes 13 proteins, but mitochondria also use ~ 1,500 proteins encoded by the cell nucleus. Plus, the role of RNA in excitotoxicity is just begining to emerge. The vast number of possible genetic mutations and protein deviations — and the extensive cascade of symptoms that ensue — help explain why excitotoxicity is fundamental to so many diseases. Illnesses commonly labeled as 'mysterious' are being traced back to excitotoxicity. This list of diseases helps convey the wide array of conditions consistent with excitotoxic mechanisms. Excitotoxins promote cancer growth and metastasis. 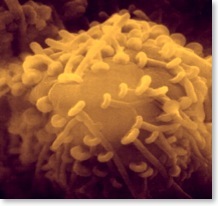 Cancer cells become more mobile when exposed to aspartate or glutamate. Exposing a tumor to glutamate has been compared with giving it fertilizer — it grows like wildfire. It can make a curable cancer incurable. Stem cells subjected to excitotoxicity may turn out to play a vital role in the formation of cancers and other diseases. Glutamate receptors exist in every part of the body. They are found throughout the heart, the digestive system, and in every vital organ. Glutamate is the most abundant neurotransmitter in the brain. Aspartate is a neurotransmitter found abundantly in the spinal cord. Glutamate and aspartate are excitatory neurotransmitters (as opposed to GABA and glycine which are inhibitory neurotransmitters). Glutamate comes from glutamic acid and aspartate comes from aspartic acid. Glutamic acid and aspartic acid are "non-essential" amino acids. The body synthesizes just the amounts needed via a tightly regulated metabolic process. In unprocessed whole foods, glutamic acid and aspartic acid are not free amino acids. They are bound together with other amino acids in complex proteins. They get digested and absorbed as combined amino acids. They get broken down in the liver and released at very low levels the body can deal with. Excess glutamic acid or aspartic acid is detrimental and results in excitotoxicity. Food science has explored and refined a variety of processes to convert whole foods into basic materials. These materials are manipulated, combined, and added to foods in ways that meet performance and cost requirements. Ingredients are engineered to achieve attractive taste, texture, appearance, and shelf life characteristics. Hydrolysis is a process in which proteins and starches are broken down into amino acids, simple sugars, and fatty acids. Hydrolysis can be achieved using chemicals, enzymes, heat, and other techniques. Except in rare cases, two particular amino acids are always liberated in the process — Asparagine (Asn) and Glutamine (Gln). These convert to aspartic acid and glutamic acid. Processed foods are a significant source of excitotoxins. A chief reason excitotoxins are used is to make food 'taste better'. The two most familiar examples are aspartame and MSG, but there are many others. It's worth reading here to see how hydrolysis affects a seemingly innocuous ingredient like "partially hydrolyzed guar gum". Food labels offer few clues about excitotoxic ingredients. Call the manufacturer to find out what you can, but be prepared — many times they can't (or won't) tell you. Most consider their formulas to be proprietary and will only answer questions about specific ingredients. You can use this list to help uncover harmful ingredients. Sometimes an excitotoxin is not explicitly listed, but cohorts are. For example, disodium inosinate (E631) and disodium guanylate (E627) are food additives often found in instant noodles, potato chips, and a variety of other snacks. They are used as a flavor enhancers in synergy with monosodium glutamate. They are relatively expensive additives and are not used independently of glutamic acid; if disodium inosinate or disodium guanylate are present in a list of ingredients but MSG does not appear to be, it is likely that glutamic acid is hidden inside another ingredient. Soybeans are naturally high in glutamic acid. When soy extracts are produced (hydrolysis) the glutamic acid is released and concentrated. The resulting levels are often higher than in MSG-labeled products. Batches of yeast are broken down to provide amino acids — on a food label this may be read as 'yeast extract'. These are also a source of highly concentrated excitotoxins. Citric acid is most often made from the fermentation of corn sugars. Free glutamic acid is introduced from the protein remnants hydrolyzed during production. Be aware, too, that citric acid is often produced at chlor-alkali facilities, and mercury contamination may have occurred early in the process. Infant formulas are typically based on soy. Many baby foods contain ingredients like 'caseinate hydrolyzed protein broth' which is a significant source of glutamate. Excess glutamate impairs a baby's nervous system and can contribute to developmental delays. It can lead to juvenile obesity. It can lead to sudden infant death (SIDS). Look here to see the amount of excitotoxins added to popular baby foods. Most restaurants don't actually know whether they are serving excitotoxins. Most chefs and cooks don't know about the large list of excitotoxins to look out for. They can claim "no MSG added" but not realize excitotoxins are in bulk ingredients that arrived without much labeling. Snack foods, soft drinks, fast foods — all are loaded with excitotoxins. Most sports drinks, energy bars, and protein powders are also loaded. 'Edible' films and coatings applied to foods — both fresh and processed — have various formulations that include hydrolyzed proteins. Produce that has been 'waxed for appeal' can contain excitotoxin in the wax. Glutamate receptors exist in all organs and tissues. Consuming a meal or drink containing MSG can elevate glutamate in the blood by 20x. There are glutamate receptors on both sides of the blood brain barrier. Exposing these receptors to excess glutamate causes irregular opening of the barrier. This compromise in the brain's defense system allows chemicals, viruses, bacteria, and other foreign substances to move in. A similar problem can occur in the intestines. Normally, cells regulate the molecules allowed to pass through, and structures called "tight junctures" seal the gap between intestinal cells so that molecules don't sneak by. Excitotoxicity can cause these tight junctures to open up and allow molecules through. Technically this is known as "paracellular transport" but more commonly it is known as "leaky gut". Other tissues — such as bladder and kidney — can be leaky like this too. This turns out to be a large and growing list of chemical ingredients found in pesticides, pharmaceuticals, over-the-counter medicines, vaccines, and other products. Interestingly, many chemicals that are excitotoxic at one level are endocrine disruptors at another. Nutritional deficiency can induce excitotoxicity. For example, glutamate receptors become hyperactive when magnesium levels become depleted. The typical American's diet leads to low magnesium levels. Strenuous physical activity — even by highly conditioned athletes — depletes magnesium. • Glutamate or aspartame combined with colors found in snack foods were significantly more neurotoxic than any of the chemicals alone. • Heavy metals cause glutamate to act more strongly towards neuron death. "A number of studies have shown that mercury, in submicromolar concentrations, interferes with the removal of glutamate from the extracellular space, where it causes excitotoxicity. This removal system is very important, not only in protecting the brain but also in preventing abnormal alterations in brain formation." Chemical body burden leads to increased brain immune activity that activates excitotoxicity. Oxidative stress also promotes excitotoxic degeneration of synapses and death of neurons. In fact oxidative stress, excitotoxicity, and ischemia (lack of oxygenated blood flow) appear to work together in a kind of "death spiral". To see how these and related factors conspire in a disease such as autism read here. Here is research describing how toxicity and oxidative stress lead to neuronal insult. The ability to oxidize cells is shared by many toxicants. Many types of virus have an affinity for nervous system tissue. When a viral infection breaches the blood-brain barrier, it leads to inflammation within the brain — particularly in the microglia, which form part of the immune system of the brain. This is important because of the role of glial cells in the brain. Another very important role is to maintain a balance in the brain between excitatory and inhibitory neurotransmitters. When the virus — or an antibody triggered by it — starts killing the brain’s astrocytes, then glutamate builds up in excess. For a detailed description of how viruses, mercury, excitotoxicity, and other factors combine to cause a cascade of significant health problems consider reading Vaccines, Depression and Neurodegeneration After Age 50: Another Reason to Avoid the Recommended Vaccines by Russell L. Blaylock, M.D. You've learned that excitotoxicity can play multiple roles in disease progression. Another means is by disrupting methylation. DNA methylation is involved with gene expression. Changes in methylation can alter protein activity which can result in an array of detrimental conditions. This study found that Aspartame (Nutrasweet) has an effect on gene expression after just one week of exposure to the maximum recommended daily amount. Organs known to experience high cancer proliferation rates were especially affected — such as in the lymph system, bone marrow, and kidneys. Dr. Blaylock explaining excitotoxins. 1 hour 7 minutes.